Join us for SpeechTEK 2017! 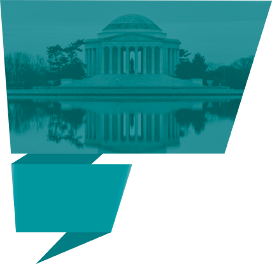 Join us in Washington, D.C., as we learn about the new and innovative ways speech technologies are shaping our lives and changing the way we do business. In today’s competitive environment, successful businesses need to understand what opportunities speech technology offers, and more importantly, how to harness those opportunities. At SpeechTEK 2016, you’ll hear from real speech consumers who have deployed speech to provide better service to their customers and to generate revenue to improve their bottom line. Analyze your customer’s textual and verbal conversations to identify dialog trouble points that need fine-tuning. Mine large collections of conversations to detect customer information and emerging trends. Discuss tools and strategies for extracting useful knowledge about your customers and their buying habits. Share how you can take action to improve products and offerings based in these insights. All too often usability testing is left until the end of a project, when time and resources are scarce. What are the best practices for testing speech-enabled interaction processes during design, development, and deployment? What criteria should you use to evaluate these processes? A variety of techniques can be used to interpret customers’ natural, everyday spoken utterances. Techniques including sophisticated grammars, statistical language models, semantic processing, and advanced artificial intelligence may be used to create language user interfaces (LUI). Share how these technologies can be used to provide an intuitive and powerful interaction modality between your organization and your customers. Organizations have many channels and modalities for communicating with customers. There are advantages and constraints of physical channels (such as phone, fax, keyboard, and screen) and interaction modalities (such as voice, touch, and typing). Discuss how to use each of these channels and modes, and how to enable your customers to switch effortlessly among them. How can public sector organizations use speech for cyber security and fraud protection? What are the best practices for making improvements to aging public sector IVR systems? How can we extend government usability guidelines to include speech technologies? What are the best tips for potential vendors hoping to understand the public sector GSA contracting process? Your customers no longer need to remember additional passwords to protect the privacy and security of their data. Instead, they can use their voice as part of a multifactor authentication strategy to identify themselves to your company’s customer-interaction systems and reduce fraud and theft. Share details about how speech technologies and processes can enable voice registration, user identification, and authentication. Customers will converse via Language User Interfaces with smart devices to control appliances, mobile devices, and computers in the home, the workplace, and everywhere else. Discuss the capabilities of these new devices and how to determine if they should be part of your organization’s customer interaction strategy. SIRI focused the world’s attention on voice-enabled virtual agents, artificial agents that interact on the customer’s behalf with one or more business. Discuss various types of virtual agents, from those like SIRI that interact with multiple companies on behalf of the user, to your own company-focused virtual assistant that caters to your customers and processes.